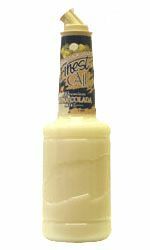 Pina Colada Schnapps Drinks - A Pina Colada flavored schnapps. Is a neutral grain spirit that is sometimes flavored with herbs or plants. It is clear, colorless and is produced in Germany. Best enjoyed straight up (from the freezer), in mixed drinks and cocktails. Blends well with fruit juices, carbonated drinks and some liqueurs.